Peter Leech who has spent the past eighteen years in prison and is up for parole. Leech appears to be a manipulative and dangerous sociopath who was found guilty of the brutal murder of his parents when he was eighteen. News of his possible parole is most unwelcome by his brother Shaun and his family. Judy is an officer of the court assigned to write a report about Leech’s suitability for parole, with the help of forensic psychiatrist Colin, who initially gave evidence regarding Leech’s mental health in the original trial. As the friendship develops between Collin and Judy, she admits Leech frightens her but is determined to give an unbiased report on his behalf anyway, meanwhile Collin has demons of his own to banish after a horrific accident that killed his wife. However, neither Collin nor Judy are aware that parole for Peter Leech is a means for revenge. This dark, gritty and engaging psychological thriller is driven by how well the characters are written and the twists and turns that keep you at the edge of your seat. The violence is stark from the outset, as is fitting with Leech being an inmate. As much as I enjoyed the aspects of what was done well in this novel a few things did irritate me, the medical management of acute asthma or seizure by a lay individual does not involve adrenaline, and I was loathed to find one I instance where instead of have the word of was used, which is a grammatical error which peeves me immensely. 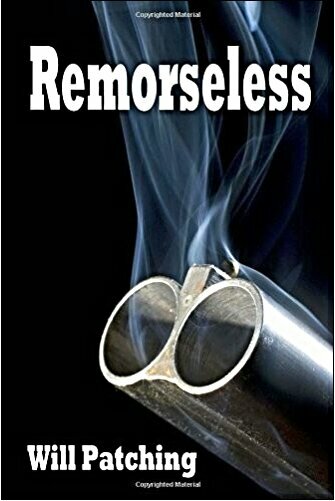 However, overall the story and plot was enough to keep me reading and I was engrossed to find out whether Leech would get his parole or his revenge. This could have been a potentially a five star read if it had a decent proof read.